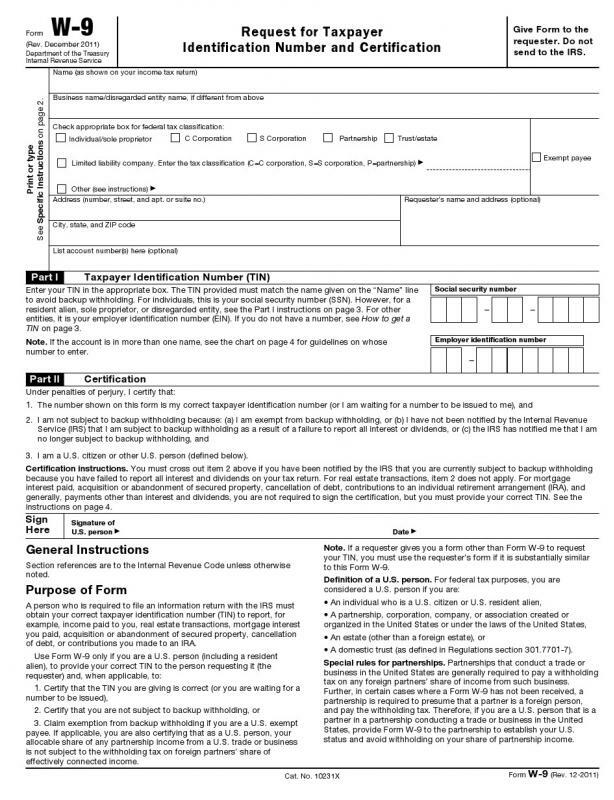 A W-9 form, a type of US tax form. 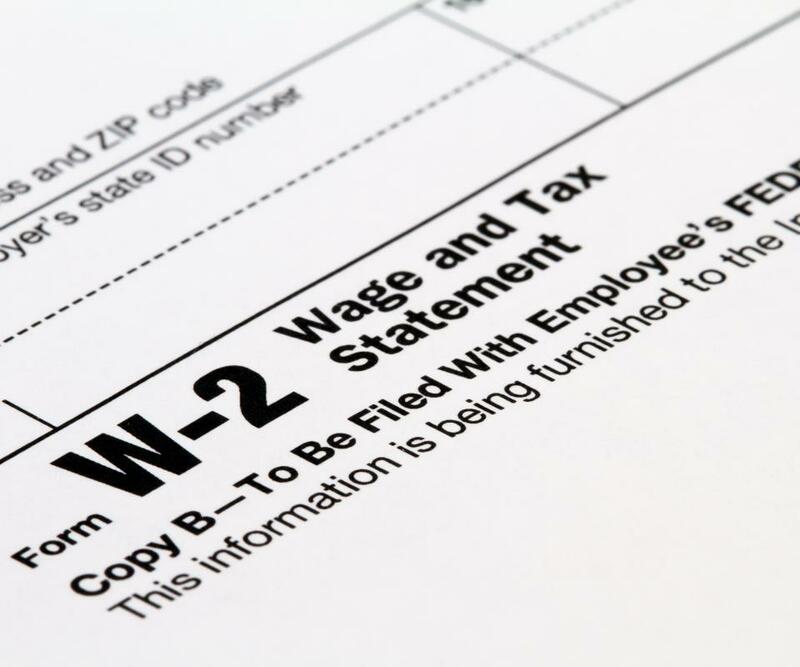 There are many ways to figure payroll taxes. For example, you can use online payroll calculators that figure taxes based on the information you input. There also are payroll software programs that make it easy to calculate employee payroll as well as the taxes you have to withhold from paychecks. You might also consider hiring a professional to help you; for instance, a payroll specialist can help you figure payroll taxes as well as perform a range of other accounting duties. One way to figure payroll taxes is using an online payroll calculator. If you decide to use one of these calculators, you will typically have to input a range of information to determine the right amount of tax. For instance, you will normally have to enter figures for gross pay, tax filing status, tax allowances, and any additional withholding to which the person is subject. You might also have to input the percent of the employee's gross pay he wants withheld for the various taxes that apply in your area. Additionally, you will also have to input the employee’s voluntary deductions as well. If you want more help with calculating and preparing payroll, you might find payroll software a better option. Some of these programs provide a range of tools for tracking employee time and handling payroll needs in addition to allowing you to figure payroll taxes. In fact, some allow you to print paychecks and handle direct deposits as well. You can even find payroll software that includes tools for preparing informational reports and other documents for tax time. Free trials of payroll programs may help you choose the best version. You can also consider hiring a professional to figure payroll taxes for you. This is usually the easiest option, as you won’t have to do any of the calculating, but is also the most expensive. This could prove a more cost-effective option, however, if you hire a professional to handle a range of payroll tasks for you rather than just the tax calculations. For example, you can hire a payroll specialist to keep your payroll records; calculate payroll, including taxes; distribute checks; handle payroll-related questions; and prepare required tax forms. If you decide to figure payroll taxes on your own, you might save money. You will usually have to put some time and energy into learning which taxes you are required to withhold and the rate at which to withhold them, however. You will also have to learn which types of voluntary deductions your employees are permitted to withhold before they are taxed on their earnings. If there are any government programs for which your employees will be taxed in addition to basic national, regional, and local taxes, you will need to understand how to handle them as well.